A Yak from HallOUween night. Image captured from Yik Yak. In an expanding world of media convergence, new and exciting social media sites hold a large place of interest at the forefront for users. Facebook, Twitter and Tumblr influence college students to create and to relate information about campus trends. Social media allow students to journal, to chat, to inspire and to collaborate. They bridge gaps and also invoke conflict and debate as well. With a society that constantly reinvents itself, it is important that the people behind the production, exhibition and distribution of media create products that are fresh and inventive too. Today’s culture places high demands on contemporary innovation and ingenuity. As a result, app developers and producers seek to create technology that will draw in their consumers. One relatively new application, Yik Yak, has taken college campuses by storm. Not only has it created a new way for college students to interact and socialize, but it has also produced a way to anonymously attack, humiliate and scrutinize students. Yik Yak was founded by fraternity brothers Brooks Buffington and Tyler Droll. After their graduation from Furman Univeristy in 2013, they launched the application. The new social interaction aims to anonymously connect individuals within a 1.5-mile radius zone. Inside those hubs, users can post content and interact with other user-generated content. The creators also use a special type of technology called geofencing. That technology allows for certain places, such as some middle schools or high schools, to be “fenced off” or unable to view Yik Yak content. Buffington and Droll implemented it to avoid the possibility of cyberbullying. 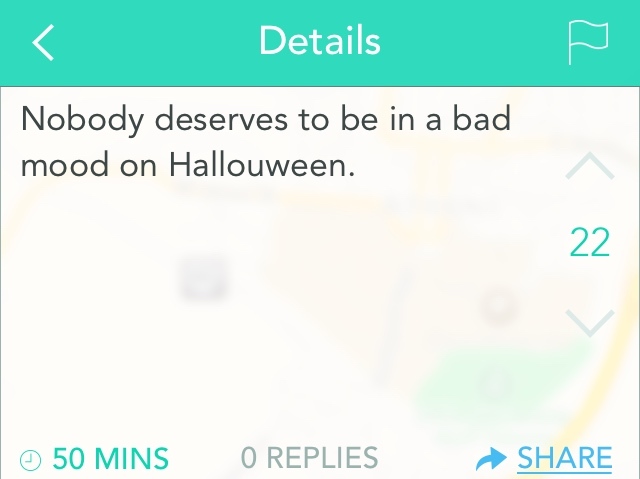 Regardless, cyberbullying still prevails in Yik Yak culture. There have even been instances of user-generated content threatening school violence. On Wednesday, police arrested an Ohio high school student for threatening to shoot up his or her school. When a community member of New Richmond, Ohio brought the threat to the attention of the school’s principal, he did not hesitate to call police. That morning police searched the bags of about 700 students. It reportedly only took 45 minutes and all classes began on time. As a result of the incident, Yik Yak was banned throughout all of New Richmond Exempted Village School District’s wifi network. A barrier was also put on all cellular device towers within 1.5 miles of the school. There was an influx of Yaks posted on HallOUween. Students and individuals journaled the event on the social media site, and “upped” or “downed” the Yaks they liked or did not like. Yik Yak brings many questions of what it means to be anonymous online: what types of power or destruction does this anonymity bring? Although Yik Yak may be a community that is creating connections, it does not go without its harm.